ALTHOUGH THEY SOMETIMES COMPETE in the marketplace, New England and New York apple growers have a long tradition of cooperation and collaboration. For nearly six decades after it started in 1935, the nonprofit New England Apple Association was known by its original name, the New York and New England Apple Institute. Cornell University’s New York Agricultural Experiment Station, in Geneva, New York, arguably the most successful apple breeding program in the world, has produce several varieties that have become New England staples, including Cortland, Empire, and Macoun, and one of our personal favorites that has not yet achieved the same prominence: Jonagold. Here are some of the other, more-than-60 varieties developed in New York since the late 1890s, of them grown at some New England orchards. 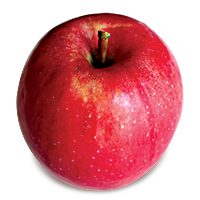 To find local orchards that grow these unusual apples, visit New England Apples and follow the link for “Find an Apple Orchard” to search by state or variety. Burgundy is a medium-large, dark red apple, the color of Burgundy wine, with occasional light streaking. Round and oblate, its cream-colored flesh is crisp and juicy. Its flavor is more sweet than tart. An early season apple, it does not store very well. Burgundy was developed by Robert Lamb and Roger D. Way in 1953, and released in 1974. 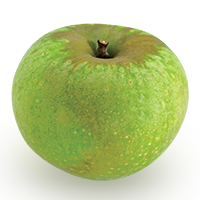 Its parentage includes two other New York apples, Macoun and Monroe, and a Russian heirloom, Antonovka, known primarily for its cold hardiness. 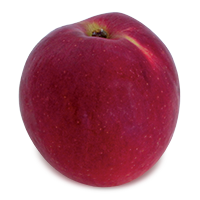 Early McIntosh, as its name implies, is an early season apple with McIntosh as a parent. It is mostly red, with yellow or green highlights and prominent white lenticels. Its white flesh is tender and juicy, and its sweet-tart flavor has hints of strawberry. It is best for fresh eating, and like many early season apples it does not store well. Developed in 1909 by Richard Wellington and released in 1923, it is the result of a cross of McIntosh and Yellow Transparent, a Russian apple introduced in the United States by Dr. T. H. Hoskins of Newport, Vermont, in 1870. It is also known as Milton, for a small village in Ulster County, New York. Jonamac is another early season apple with a McIntosh parent. It is a medium, round, mostly deep red in color over pale yellow-green skin. Its skin is thin but chewy, and its white flesh is aromatic and tender. Its flavor is similar to McIntosh, but a little sweeter, with a hint of strawberry. It ripens before McIntosh, and it does not store well. Jonamac was developed by Roger D. Way in 1944 from a cross of McIntosh with the New York heirloom Jonathan, and released in 1972. A contest was held to name the apple, and more than 500 entries were submitted. Two of the seven people suggesting the name “Jonamac” were from New England: William Darrow Sr. of Green Mountain Orchards in Putney, Vermont, and Rockwood Berry, then executive director of the New York-New England Apple Institute, now the New England Apple Association. Fortune is a large apple, red with green striping. Its crisp, cream-colored flesh is more tart than sweet, and it has a lively, spicy flavor. It is good for both fresh eating and cooking, and it keeps well in storage. A 1995 cross between Empire and Schoharie Spy, a red sport of Northern Spy, Fortune is a late season apple. 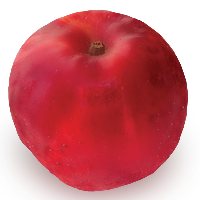 Monroe is another late-season apple, medium, round, with red color over a yellow skin. Its tender, cream-colored flesh is more sweet than tart, and moderately juicy. 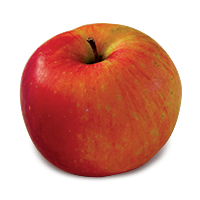 It is a good fresh-eating apple, and it is an especially good cider apple. It stores well. A cross of Jonathan and Rome Beauty, it was developed by Richard Wellington in 1910, and released in 1949. It grows well in parts of New England, especially Vermont, but its popularity peaked in the 1960s. It is named for Monroe County, New York. 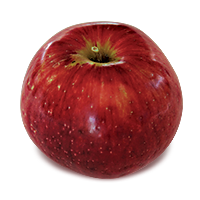 Liberty is a medium-sized, slightly conical, mostly red apple on a yellow skin. Its crisp flesh is moderately juicy and cream-colored, often with a tinge of pink. Its flavor is nicely balanced between sweet and tart. Liberty was developed in 1978 by Robert Lamb for resistance to such common diseases as apple scab, cedar apple rust, fire blight, and mildew. Its parents are Macoun and Purdue, a variety from Indiana developed for disease resistance. Freedom is a late-season apple, large, oblate and round, with red striping over yellow skin. Its cream-colored flesh is crisp and juicy, with flavor that is more sweet than tart. It is a good all-purpose apple, and it stores well. 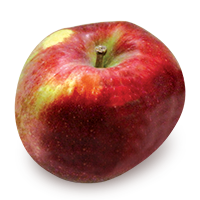 Developed in 1958 for disease resistance and released in 1983, its parentage includes Golden Delicious, Macoun, Rome, and the Russian heirloom, Antonovka. Its name refers to its “freedom” from apple scab. 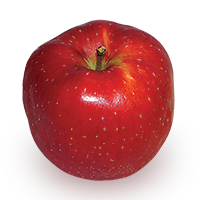 Chenango, or Chenango Strawberry, a mid-season apple, medium-sized, conical, mostly red over pale yellow skin. Its tender, white flesh is aromatic, its flavor mild, more sweet than tart, with hints of strawberry. It is a good all-purpose apple, but it does not store well. Its history is unknown. It may have originated in New York’s Madison County, or it may have come to Chenango County from Connecticut. According to S. A. Beach in Apples of New York (1905), it dates back to at least 1850. Esopus Spitzenburg is a tall, conical, late-season apple, mostly red with light yellow lenticels. Its crisp, juicy flesh is pale yellow. Its distinctive spicy flavor, more sweet than tart, becomes more complex in storage. It is a good all-purpose apple. It stores well. Its origins are also unclear, but it dates to at least 1790, and it was widely planted in the 19th century. 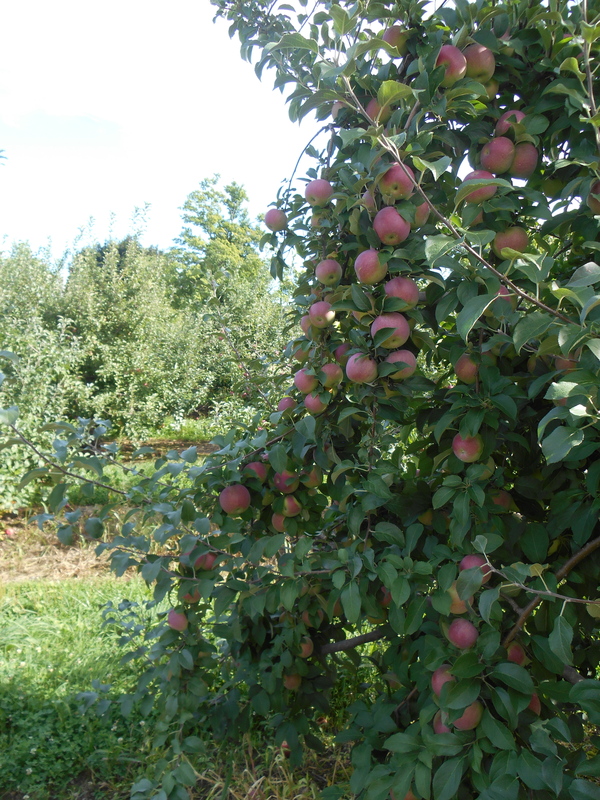 Thomas Jefferson grew many varieties of apples on his Monticello plantation in Charlottesville, Virginia (an outstanding preservation orchard is maintained there today), and Esopus Spitzenburg was one of his favorites. Writer Washington Irving was also known for liking the apple. Green Newtown Pippin and Yellow Newtown Pippin so closely resemble each other that they are often identified as the same apple. Green Newtown Pippin is a late-season apple, medium, round, oblate, green in color with an occasional pink blush or russeting around the stem. Its crisp, juicy flesh is pale yellow, and it is aromatic, with a balanced flavor between sweet and tart. It is an all-purpose apple especially good in cider. It stores well. 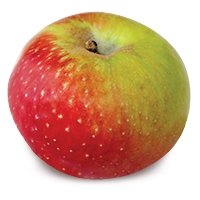 Yellow Newtown Pippin is medium to large, mostly green with a yellow blush and red streaks. Its skin is thick, its flesh crisp and moderately juicy. It has a pleasant, mildly citrus flavor, balanced between sweet and tart. A late-season apple, it stores exceptionally well. The separate strains were first recorded in 1817, but by then the varieties already had made history as the first American apple to attract significant attention in Europe. Benjamin Franklin brought grafts to England in the mid- to late-1700s, where the apple was known as Newton Pippin of New York; it could have been either Green Newton Pippin or Yellow Newton Pippin. Yellow Newtown Pippin has had greater name recognition and commercial success as Albemarle Pippin. It was introduced in Virginia by Dr. Thomas Walker, an officer under General Edward Braddock during the French-Indian War. After Braddock’s forces were defeated trying to capture Fort Duquesne in 1755, Walker returned to his Castle Hill plantation in Albemarle County carrying scions from a Yellow Newtown tree. When the trees bore fruit the apple was renamed Albemarle Pippin. Thomas Jefferson wrote that he had grafts of Albemarle Pippin in 1773, and they were planted at his Monticello plantation in 1778. Albemarle Pippin was a major export to England for nearly a century beginning in the mid-1700s. The original tree grew in Newtown (now Elmhurst), Long Island, New York, in the early 1700s near a swamp on the farm of Gershom Moore. 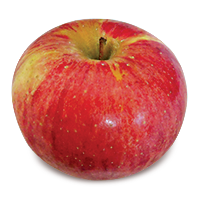 Jonathan is a late-season, conical apple, medium-sized, bright red over a pale yellow skin. Its white flesh is aromatic, crisp, and juicy, and it has a spicy, tangy flavor balanced between sweet and tart. Applesauce made with Jonathan turns pink from its red skin color, and it is especially good in cooking. It has a relatively short storage life. It was first cited in 1826, originating on the farm of Philip Rick, in Woodstock, New York. Its name commemorates Jonathan Hasbrouck, who spotted the apple growing in brush on Rick’s farm. 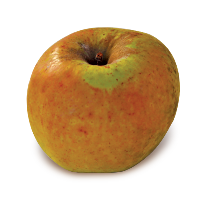 While not widely grown in New England, Jonathan is parent to such apples as Jonagold and Jonamac, and it remains popular in the Midwest. THIS IS THE FINAL WEEKEND of the Eastern States Exposition (“The Big E”). 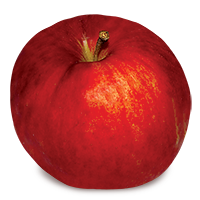 New England Apples has a booth in the Massachusetts State Building daily through Sunday, September 28, from 10 a.m. to 9 p.m. daily, featuring fresh apples, fresh cider, cider donuts, apple pies, and other baked goods. More than one dozen varieties of fresh apples are being supplied by Massachusetts orchards Atkins Farms in Amherst, The Big Apple in Wrentham, Brookfield Orchards in North Brookfield, Carlson Orchards in Harvard, Clarkdale Fruit Farms in Deerfield, Cold Spring Orchard, University of Massachusetts in Belchertown, Pine Hill Orchards in Colrain, Red Apple Farm in Phillipston, and Tougas Family Farm in Northborough. The booth features award-winning cider donuts made by Atkins Farms in Amherst, fresh, crisp apple cider from Carlson Orchards in Harvard; and fresh-baked apple pies and apple crisp made with apples supplied by Cold Spring Orchard, Pine Hill Orchard, Red Apple Farm, and Nestrovich Fruit Farm in Granville. The 2015 New England Apples full-color wall calendar, the revised New England Apples brochure/poster, and brochures from member Massachusetts orchards are expected during the final weekend. The Big E is the largest fair in New England. Last year’s fair attracted 1.4 million visitors.